This entry was posted in Community, Events and tagged Auburn University Women’s Leadership Institute, Extraordinary Women Lecture series, Gloria Steinem, The Hotel at Auburn University and Dixon Conference Center on February 4, 2014 by Wire Eagle. AUBURN UNIVERSITY – Author and activist Gloria Steinem will speak at 4 p.m. Tuesday, Feb. 18, at The Hotel at Auburn University and Dixon Conference Center as part of the Auburn University Women’s Leadership Institute’s Extraordinary Women Lecture series, and she also will be the guest of honor at the Women’s Studies Program awards luncheon on Wednesday, Feb. 19, at 11:45 a.m. at the Auburn University Student Center. Limited general seating for the public lecture is free and available on a first-come, first-served basis. Doors will open at 3 p.m. The College of Liberal Arts’ Dean’s Brass Quintet and the Mosaic Theatre Company will perform at the event, and an exhibit featuring work from the class project “Gender on the Margins” will be displayed. A book signing will be held immediately following the lecture and the Auburn University Bookstore will be on hand to sell copies of Steinem’s books. Tickets to Wednesday’s luncheon are $25 per person or $200 for a table of eight. Reservations must be made by Monday, Feb. 10, at www.cla.auburn.edu/Womensstudies/luncheon-form. At the luncheon, awards will be given to Auburn faculty, students and members of the community for achievements in women’s and gender studies and for making a difference in the lives of women in the community. A founder of the Women’s Media Center, the Ms. Foundation for Women, the National Women’s Political Caucus and Ms. Magazine, for which she served as editor for 15 years, Steinem has authored four books, is editor of The Reader’s Companion to U.S. Women’s History and is a frequent media spokesperson. 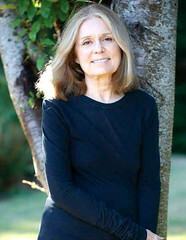 “It is a special honor to have Gloria Steinem, who is renowned for her efforts to advance women’s and human rights, as the speaker when we recognize the excellent work of our faculty, students and community members to address women’s and gender issues,” said Joyce de Vries, director of the Women’s Studies Program. The events are sponsored by Auburn University, College of Liberal Arts, Department of English; Auburn University Office of Diversity and Multicultural Affairs; Auburn University Women’s Initiatives; Alabama National Organization for Women; State Farm; University Outreach; Alice M. Leahy Lecture and Osher Lifelong Learning at Auburn University, East Alabama Medical Center; Auburn University Honors College; the Departments of Music and History in the College of Liberal Arts at Auburn University and Leadership Challenge Fellow Program.